Spinach in its pureed forms may not be the among the visually appealing foods, but they certainly make the foods nutritionally richer. Spinach is a wonderful vegetable that serves as a great source of Calcium, Iron, Vitamin A, Folate and several other micro-nutrients. In its pureed form, Spinach imparts an intense green colour to any food it is mixed with hence the colour of the potato puree presented in this article. Ordinarilly, sweet potato puree could have any colour ranging from white, yellow to orange but never green. 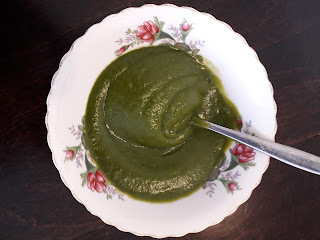 Green-coloured potato purees got their colours from other contents of the puree apart from potatoes. 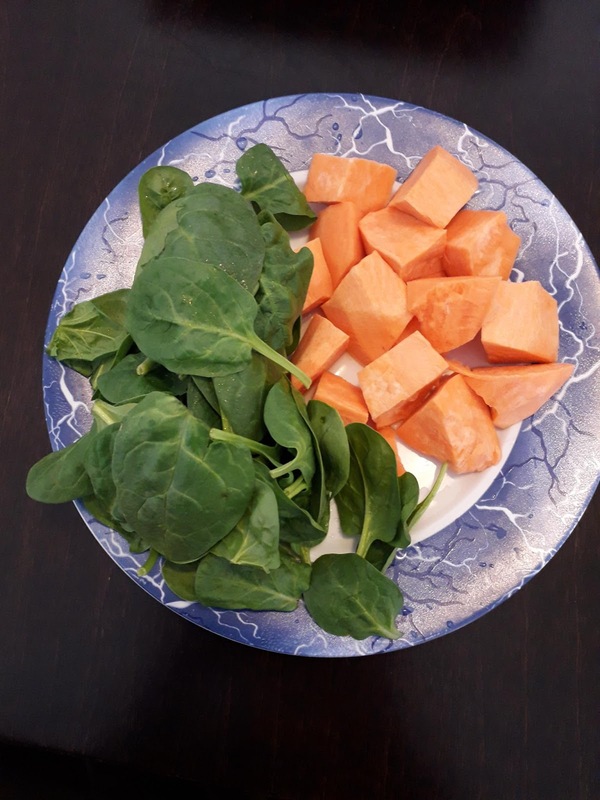 Iron, Calcium, Folate and Vitamin A are among the food nutrients babies need sufficient supplies of and considering the fact that Spinach has sufficient quantities of these nutrients, then potato and spinach puree is a great food for babies who have started eating solids. Preparing sweet potato and spinach puree involves the same method employed when preparing sweet potato purees except for the addition of spinach leaves. Mash or blend the cooked potatoes alongside the washed spinach leaves. Add water to achieve a consistency suitable for your baby's age and palate. 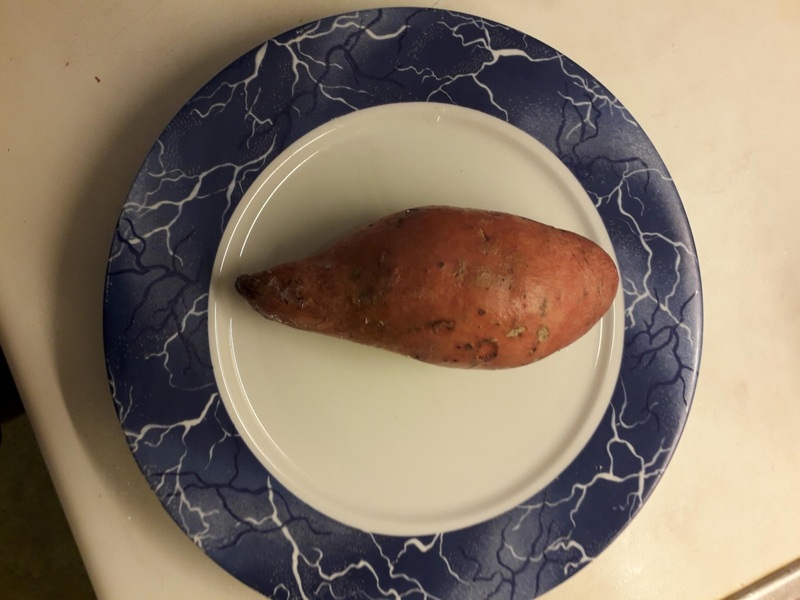 You could use the water used in boiling the potatoes or entirely new water. 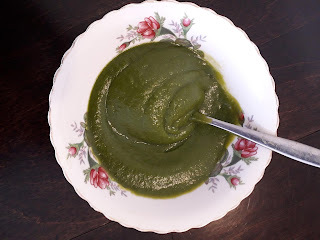 Your Sweet potatoes and Spinach puree is ready. 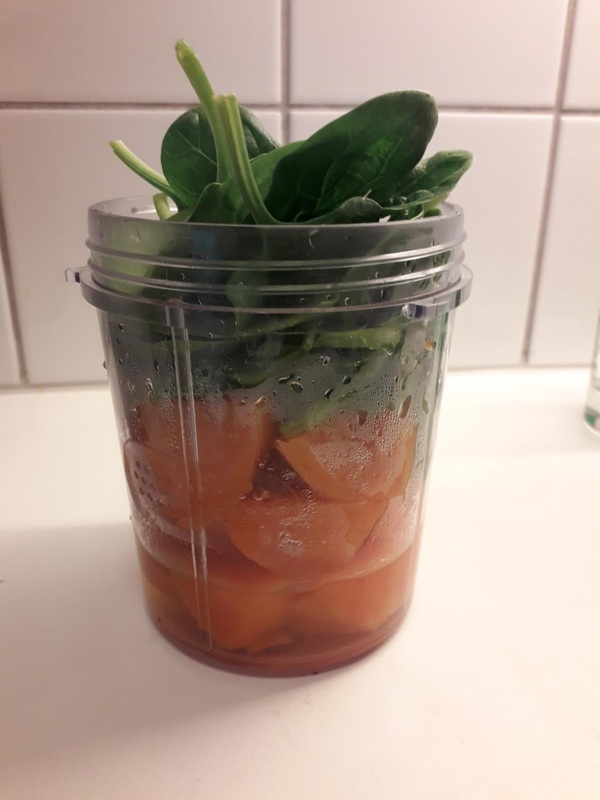 Having read the recipe I am a bit concerned that the spinach was not cooked which might be a bit hazardous to a baby's health. Otherwise it is a splendid recipe.